On Tuesday, December 12, 2017, President Trump signed the fiscal year 2018 (FY18) National Defense Authorization Act (NDAA) into law (Pub. L. 115-91). An annual defense policy bill, the NDAA is a critical piece of legislation for the contracting community because it provides the funding authority for programs and activities of the Department of Defense (DoD), the largest procurer of goods and services within the US government. In addition, the NDAA is a vehicle for encouraging in some cases, and requiring in others, changes to both DoD and government-wide procurement practices. 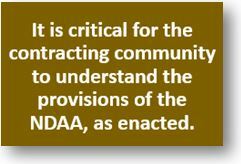 As the NDAA moved through the legislative process, Dentons and other commentators analyzed proposed provisions, some of which were adopted as written or in a revised form, and many of which were not included in the final bill. The General Service Administration announced multiple Federal Acquisition Service leadership changes last week, including making long-time IT and acquisition leader Mary Davie the permanent deputy assistant FAS commissioner and shifting some 18F staff. FAS Commissioner Alan Thomas told GSA staff today the agency was dropping the “acting” from Davie’s position and Kay Ely’s role as assistant commissioner for the FAS Office of Information Technology Category. “Mary and Kay are no strangers to high-impact leadership roles and they bring impressive experience to their new positions,” Thomas said in a staff email. All legal entities in the world should subscribe to a common identification system, so the public can track their relationships, according to a new report. Doing so could disrupt the monopoly Dun & Bradstreet has on the identification numbers contractors use to work with the federal government. But if the public and federal government want to better understand where money goes, they’re going to need to use a common identification system, the report from records giant Lexis Nexis and the Data Foundation, a government-transparency focused advocacy group, argued. 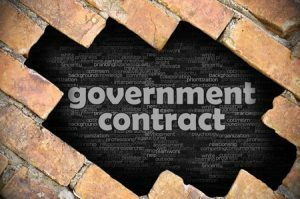 When government agencies track awards to contractors, they sometimes use their own identification systems for internal purposes. In the U.S., federal procurement officers also use Dun & Bradstreet’s “DUNS Number” to tag every contractor; those businesses are required to register for their own number through Dun & Bradstreet itself. But those contractors also use proprietary ID tags, and often both groups silo their identification system by the industry the business is in. 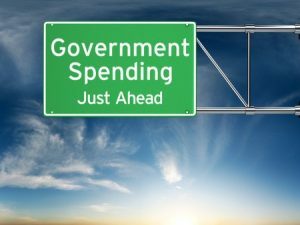 This year, some extraordinary pressures have come to bear around federal spending. There’s the seeming chaos in Washington, with the new administration failing to fill hundreds of mid- and senior-level jobs. 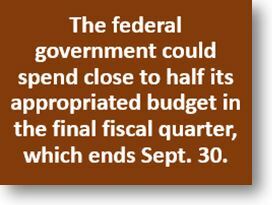 There’s the dire sense in most agencies that next year’s budget will be smaller. And there’s the fog and uncertainty that come with operating under a series of continuing resolutions. A change of party in the White House typically puts the brakes on spending at least temporarily, as agencies sort out their new priorities. This time around? Double it, with an administration that governs by tweet and a POTUS who appears to thrive on keeping agencies off balance. The chaos inside the Beltway is bipartisan and cuts across every agency not focused on security or defense.